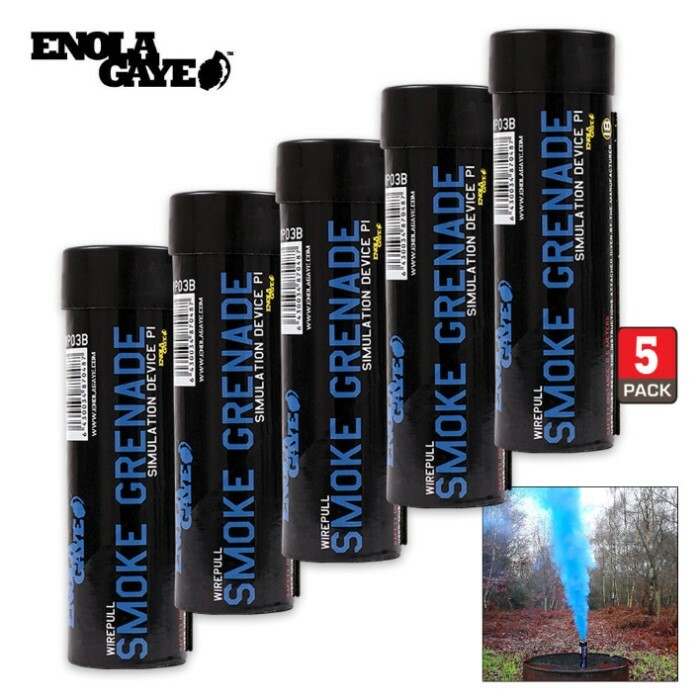 Wire Pull Smoke Grenades Blue 5-Pack | BUDK.com - Knives & Swords At The Lowest Prices! Ideal for paintball and airsoft games, where cover is sparse and your opponents may have the upper hand, the Wire Pull Smoke Grenade will give you the edge. 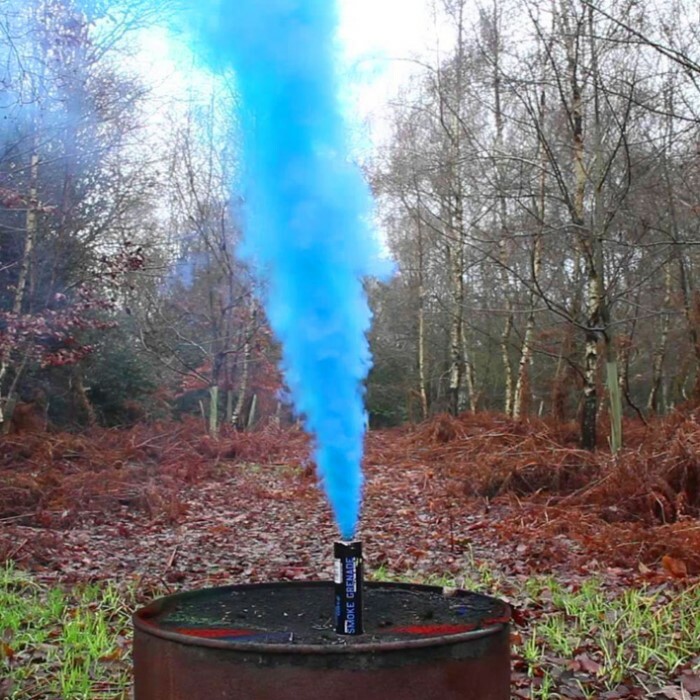 Developed around a military grade ignition system, it's simple to use, effective and produces a high volume of blue smoke for approximately 90 seconds. There is a 2 second fuse delay and the smoke flows from the top of the grenade. The Wire Pull Grenades are the best pyrotechnic smoke effects available. There are five grenades in this pack.